Did you enjoy the tour for the 40th anniversary of “Spectrum”? Yes, I do. It was very-very delighting on team level. Actually, it’s not an American band, really. 3 out of 4 (ed: Billy on drums, Dean Brown on guitar and Ric Fierabracci on bass), have passports as Americans but Gary Husband (keyboards) is an Englishman. But he has worked with many-many American musicians. We all have mutual respect for each other. You can be 9 years old and have a have a great potential and play many notes and show that, because of your ideas which can make you a great musician and in some cases you can think about that. Unless you have probably experienced this, as someone who have been around and have worked for many years with all these players that I have worked. And you play as far as possible, as loud as possible and as long as possible. So, the whole thing is that we respect each other and we have been working together -off and on- over the last 20 years here and there. So, it was a nice idea to tour for the 40th anniversary of “Spectrum” and we said: “Let’s play together, be kind and respect each other”. I think this is why we play much better. Are you proud of the classic status that “Spectrum” album has? I am proud with the response that this LP has gained even for a few months, not to mention how long time 40 years has been. I never expected this, no. 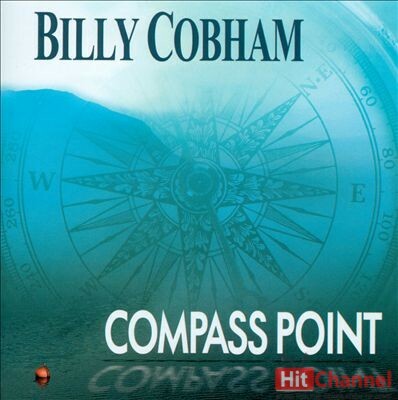 Why did you decide to release the live album “Compass Point” after 16 years? (Laughs) Well, this is the story: When we made this record, it required a lot of musicians from the local community in The Bahamas (ed: recorded at the Compass Point Hotel in The Bahamas). Some of them didn’t want to play along with one of the instruments we played. They wanted our piano not to play the tunes. And in 1997-8, there was no chance to play there with computer software which you use to play the tunes. But after all these years, minds can change and you can get better progress and have the final result you want. It took us about 15 years to get that record to happen. Because the piano was without the tunes. But 15 years later the piano is back here. Can you describe us the sound and the concept of your upcoming album, “Tales from the Skeleton Coast”? It’s like Mahavishnu Orchestra with a very good mix of music made in Eastern Europe, with a lot of these interesting rhythms and also with a lot more success than what we already have. I worked on many of the parts myself. We play a lot of different things. And for the first time there is a vocal synthesizer in the studio. So, this is the first time for me. How did it happen to have Tommy Bolin (who joined Deep Purple two years later, in 1975) on “Spectrum”? He was unknown then. Not to everybody. He was guitar player in a band called Zephyr, and Tommy played with Zephyr in the Midwest. When I heard him, I was member of a band called Dreams, and we met together somewhere… in Iowa, North Carolina or something. And it was something I remembered when he came to New York and with several guys from that band, we hung out enough and he became very close friend with Jan Hammer (ed: keyboards-Mahavishnu Orchestra, Jeff Beck, solo). So, the next move was when I needed some guy to play with me with the experience that I am talking about, Tommy was the perfect choice and everybody in the band told me that. Do you still compose at the piano? Oh, yes. Not all the time now, but I spend some time on the piano as long as I can get something out of this. And I put it down and I write it on my computer. 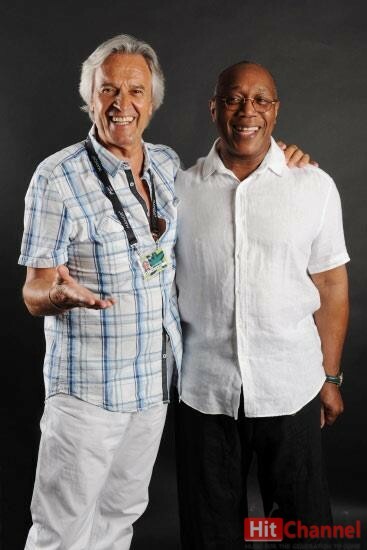 At the 44th Montreux Jazz Festival in 2010, you played for the first time with John McLaughlin after decades. How emotional was the show for you? It wasn’t emotional. It’s like when you haven’t ridden a bicycle for a long time and you get back on the bicycle. Nothing has changed, everything is ok.
What is the most important thing you learned during the period you played with Miles Davis? To make sure that if you make a mistake, you continue. Don’t stick on that, follow your heart and develop a mean to your ideas yourself. Many times out of the negative things that happen, positive things come out. You have to try to be explorative and to continue to play what everybody else is doing. Otherwise, you will probably lose your edge and that’s very important. You played in a US Army Band for 3 years. How much helpful was that experience as far as your later career? I had to learn having more discipline. The discipline in music can make you a better player. One important thing is when you say you gonna do something, you do it. And when you say you gonna do it at a certain time, try to make sure that you ‘ll do what you say you want to do. I mean, it’s very important discipline, following directions, all these kinds of things that everybody in the Army has to do. So, the period I spent in the US Army Band was very important in the foundation of my musical career. 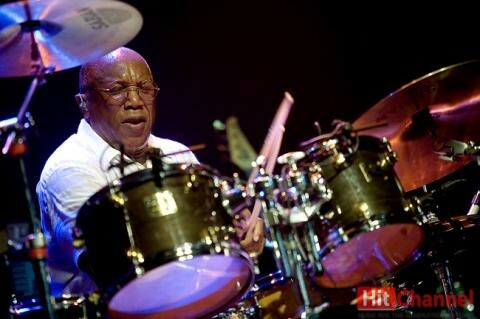 Did you get on well with Tony Williams (drums- Miles Davis, Tony Williams Lifetime, Trio of Doom)? I’m asking you because John McLaughlin told me that Tony was fighting all the time with Jaco Pastorius! What can I say? I didn’t have any kind of fighting with Tony Williams. Maybe some people would think of that. Of course when you are a difficult person, it may be difficult to work together with some people. I don’t know, I never had any problems. How did you feel when you heard that “Stratus” (from “Spectrum”) has been sampled by Massive Attack in the song “Safe from Harm”? Ah, fine! Because I knew that I control my masters. So, they had to come to me and ask for my permission. So, everything was fine for everybody. You collaborated with Peter Gabriel for the production of WOMAD festival in 1992. Have you ever played together? Sure. We were on a concert tour in 1994 or ’95. I stood in for his drummer, Manu Katche, in the end of this tour, in ’94 or ’95, somewhere there. It was a great experience. I can’t say anything bad. It’s just another part of the building process for me as a musician. Do you have happy memories from the period you played with Bobby and the Midnites (with Grateful Dead guitarist, Bob Weir)? (Laughs) Bobby and the Midnites! Sure, I have very good memories playing with Bob Weir. There were a lot of things that came together. That was something positive, very positive. With who musician did you have the best musical and spiritual connection on stage? I don’t have any preferences. Every situation is good for itself, and whether it was best or worst, I enjoyed. Something I enjoyed more than other, but I find the combination in that sport. Even if I thought that way, I had a good time working with Bob Weir, Mahavishnu and Gabriel. I had a good time. I mean, they are great people and it’s a great career for me. I wish I could have started earlier. Would you like to play again with Jack Bruce (Cream bassist/vocalist)? At this point of time, not really. I think we ‘ve done it. 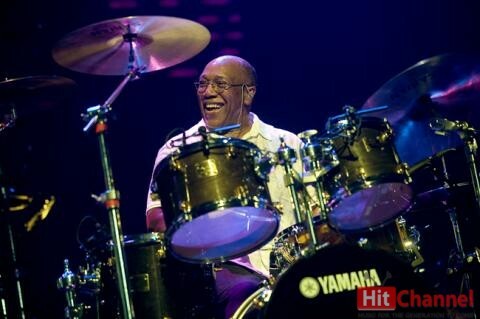 Do you like drummers like Steve Gadd (Eric Clapton, Paul Simon) and Vinnie Colaiuta (Jeff Beck, Sting, Frank Zappa)? Yes, I think they are very fine players. Absolutely, absolutely. Do you believe that live shows are most important than studio albums? I think when you play live you put your heart out on the line. And I would prefer to do it that way than to play in the studio. Because the studio gives you too many options: you can go back and you can do this and can do that. But when you play live, the whole objective is to play who you are at that time. What sounds like a mistake is the best that you felt. So yes, I prefer play live than to do this in the studio. Are you frustrated when you see younger drummers to be more interested in getting endorsements than playing drums? No. I never waste time to think about that. That’s business and money. I don’t care about what somebody else is doing. I have got my own trouble just trying to play for me. So, I’m not competing with anybody else. It’s what I felt for myself. I’m trying to do the best I can. Right now, I’m listening to Stravinsky’s works. Do you remember the first show you played in Athens in the early ’80s? Wow! Yeah, kind of vaguely remember. It was in the beginning of the ‘80s and we played in a basketball stadium (ed: Sporting indoors stadium). That I remember. It was with Mike Stern (guitar), Tim Landers (bass), Gil Goldstein (keyboards) and Michal Urbaniak (violin). 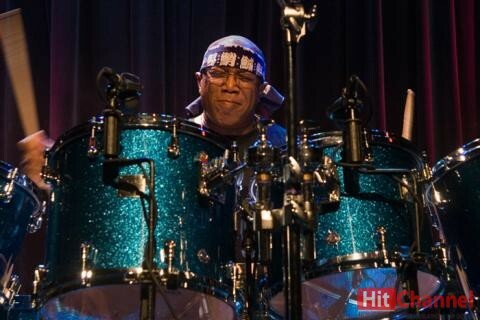 That’s the group that I remember from that time (ed: Billy Cobham and Glass Menagerie). That was a real experience, yes. Do you remember any funny story from the recordings of “Jack Johnson” album (Miles Davis-1970)? Do you have any explanation for Jeff Beck’s strange behavior towards you? I couldn’t believe that he told you “I’m going to the bathroom” and you never saw him again!! Oh yes, it’s one of those things, you know. Jeff came in for the soundcheck or rehearsal we scheduled to have in L.A in ’78. He came in and he said that he’ll be right back. He was going to the toilet and I didn’t see him for another… 20 years (laughs). It’s one of those things. He went the wrong time in the toilet, I guess. 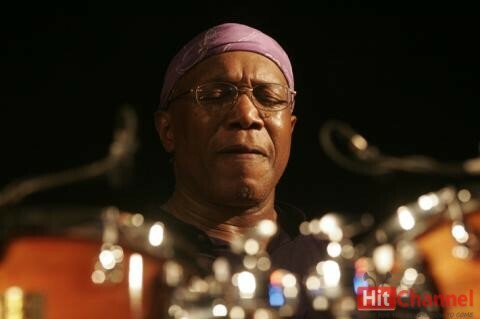 A huge “THANK YOU” to Mr Billy Cobham for his time. Also, I would like to thank Nancy Balik for her valuable help.